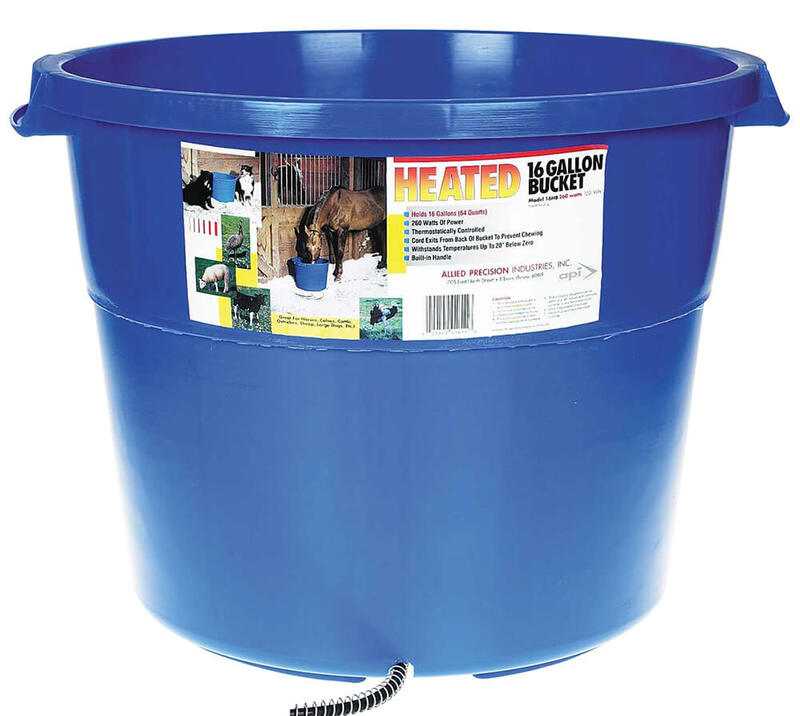 Heated Bucket, 2.5 Gallons (10 Quarts): For those who need a smaller flat-back bucket this is the perfect option. 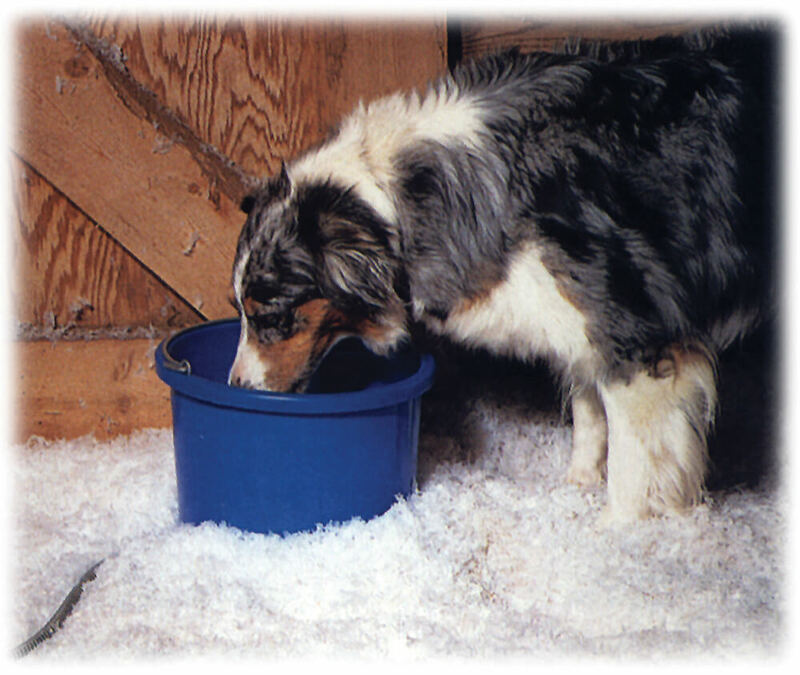 This bucket is great for horses and large dogs. It has a capacity of 2.5 gallons with a built-in thermostat and will keep water ice-free during below zero conditions. The heater is completely hidden within the walls of the plastic bucket. The flat back design allows it to be conveniently hung in a stall. Each unit comes complete with a 6-foot grounded cord. Strong and sturdy metal handle. Constructed of high-quality plastic to withstand low temperatures without cracking. 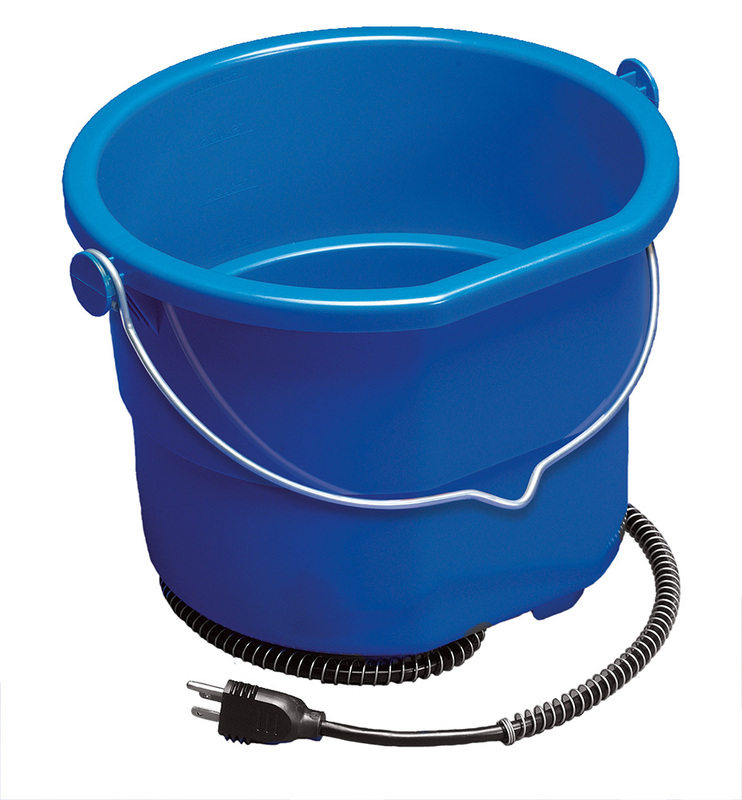 Bottom compartment conveniently stores cord when not in use so the bucket can be used all year round. 70 Watts, 120 Volts. All products listed carry a limited one year warranty. To exercise warranty: Contact Allied Precision Industries, Inc. at 1-800-627-6179.